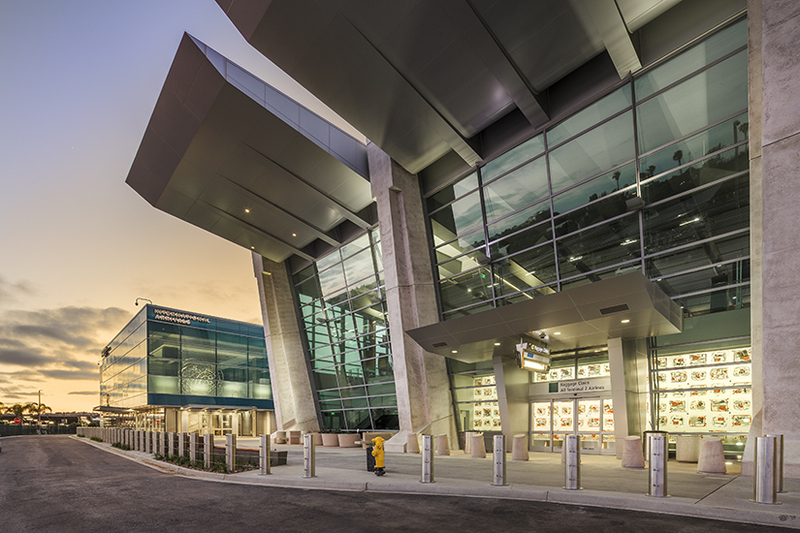 The San Diego County Regional Airport Authority entered a new era in 2005 when it began planning San Diego International Airport’s (SAN) Green Build expansion of Terminal 2—its first design-build construction project. The Airport Authority Board approved the transition from a traditional bid-design-build approach in an effort to avoid that approach’s common pitfalls: cost and schedule overruns, delay claims, and litigation. With the builder as the single point of contact for all parties, construction was streamlined for the Green Build and projects that followed: the Terminal 2 Parking Plaza and the Terminal 2 International Arrivals facility build-out. “Our results were so positive that other agencies have asked our board for advice on how to implement design-build projects,” Bolton says. Green Build construction began in 2009, just after the start of the national economic downturn. The resulting financial conditions eliminated scenarios for budgeted cost escalations and actually helped the project come in under budget. The $1 billion Green Build was the largest in the SAN’s history. It included ten new gates, a dual-level roadway with enhanced curbside check-in, more security lanes, and expanded concessions. It also became the first commercial airport terminal in the world to receive Leadership in Energy and Environmental Design (LEED) Platinum certification from the U.S. Green Building Council. The project gathered extensive documentation from subcontractors on the handling of construction materials and incorporated LEED innovation points—additional points from sustainable, environmentally friendly assets outside the formal terminal construction area. Examples were waste recycling programs, green cleaning processes, and solar panel arrays. Benefits from the LEED efforts have included lower energy costs and water consumption, and extensive natural light that has contributed to energy savings and improved customer satisfaction surveys. The on-site solar farms supply 20 percent of SAN’s energy needs. The designation as a parking plaza was an intentional choice to indicate exceptional expectations for the Terminal 2 parking structure. Plans were to make it different from typical commercial garages that are dark, noisy, and filled with exhaust. In addition to 2,900 parking stalls, the plaza includes glass front elevators, open light wells, a below-ground 100,000-gallon storm water capture and reuse system, and two permanent public art installations. It also provides an automated parking management system that offers advance reservations, guides customers to an available parking spot, and supports online payment to streamline exiting. The plaza design was guided by the phrases “safety by design” and “see and be seen.” This led to a safer and more inviting environment, Bolton says. The interior of the concrete structure is painted white, maximizes natural light through three light wells and glass elevators, and uses energy efficient computer-controlled lighting. The design-build approach helped the team complete the parking plaza in twenty months, generated extensive cost savings associated with the concrete preparation, pouring, and finishing, and helped proactively address building code issues associated with the art installations. The International Arrivals facility build-out presented Bolton with what he called a Mission Impossible assignment. 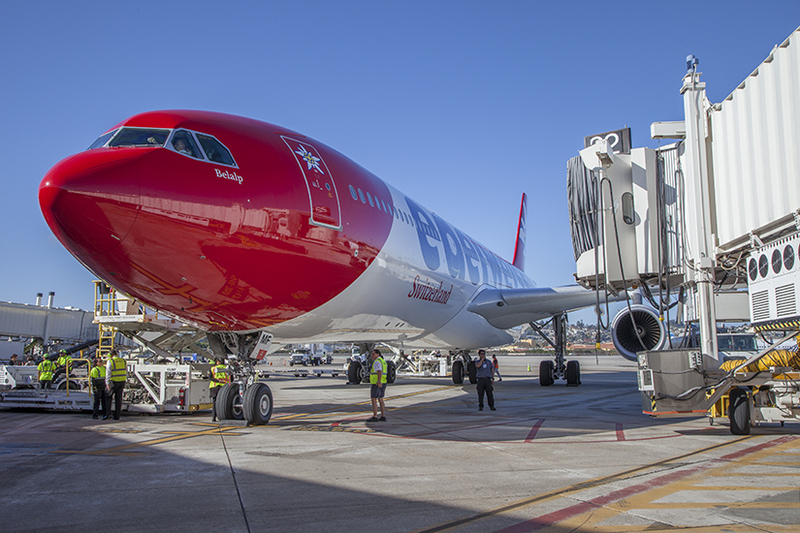 The project paved the way to double the number of SAN’s international gates. To accommodate the increased volume of international passengers and be ready for new international airlines’ arrivals in the summer of 2018, a 130,000 square-foot space within the Green Build had to be built out in fourteen months—ten months shorter than the original plan. Because Customs and Border Protection has stringent standards that apply to customs facilities, Bolton and his team were in constant contact with the agency’s local office to address compliance issues. 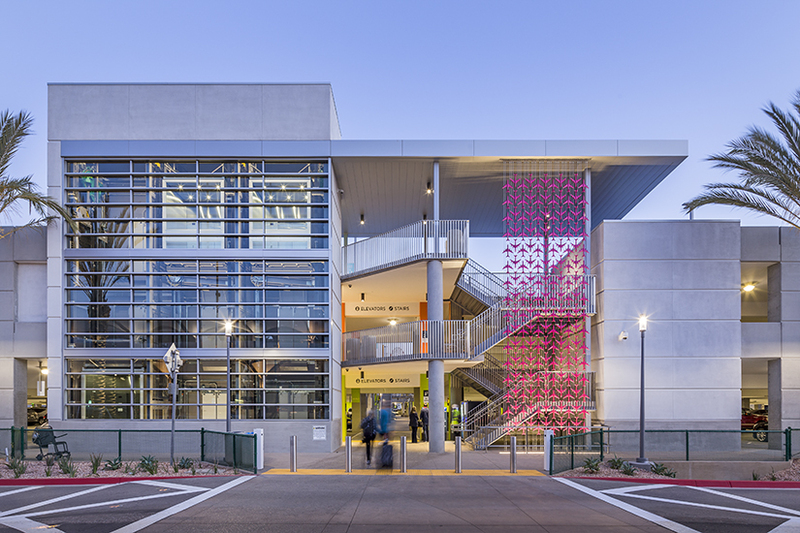 This facilitated finding solutions to issues such as requirements for time delays on emergency exits that would interfere with SAN’s fire alarm systems, and technology standards that had changed since the plans were originally drawn up as part of the Green Build Terminal 2 expansion. A message from Turner-PCL, A Joint Venture: The Terminal 2 West Federal Inspection Service (FIS) Build-Out, completed in June 2018, accommodates increased capacity needs by expanding processing areas, adding a second baggage-reclaim device and more queuing space in the lower-level customs hall, and utilizing the newest Customs and Border Protection processing technology.